Thank you for your interest in the Noon Optimist Club of Centerville. If you are already a member, thank you. 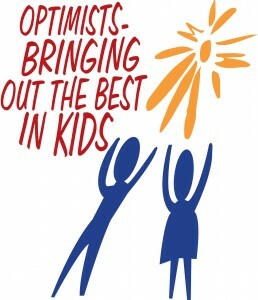 You are one of more than 200 members who understand the need to “Bring Out the Best in Kids!” You are involved in many of the club’s activities and events and know the Optimist Creed by heart. Centerville Noon Optimists get things accomplished in our community. We set examples and embrace an optimistic mindset for all to see. We display leadership skills and working relationships locally, regionally and nationally. We reach out and help young people. Perhaps you have heard of us or seen your children involved in our activities. If you have enjoyed these moments and if you are not a member, now would be a great time to step forward. It is the best time to help enhance the quality of life for our youth. Please join us any Tuesday for a free lunch at noon at Yankee Trace Golf Clubhouse. Our meetings are always fun and informative. Having a tough day and need a little “Optimism?” See you next Tuesday! You will be a stranger for all of five seconds. Perhaps you are searching for that right outlet to give back to your community or need some personal development. You will find both of these in our Optimist Club. You will have the satisfaction of making a difference in the lives of our children as well as our community. You will join together with others living and working in our community to serve others. You will enjoy weekly speakers and have the opportunity to learn, grow and improve yourself. Why not make the commitment to help accomplish things in our community? Please use the application form from this website to apply for membership or call 937-221-6720.